I do not know whether this is hilarious or sad. 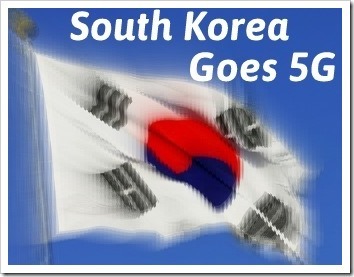 While we are still struggling with Pan-India 3G and just taking baby steps for 4G, South Korea has announced that by 2020, they want to upgrade their network for 5G capabilities. South Korea is committing $1.5 billion to this. This when completed will make South Korea the first country to have comprehensive 5G coverage giving the people the maximum speeds among all countries. The 5G services are considered to be 1000 times faster than the current technology. This would create huge data transfers possible – for example; a whole length HD movie could be downloaded in a second. Also, people traveling in trains of speeds upto 500 kmph will be able to access internet. Such internet speeds will obviously create variety of new uses for gadgets and new uses of internet itself which are still not possible. Besides South Korea, other countries have set 2020 as deadline for network coverage. Huawei is planning for a 4G coverage in China by 2020 and E.U have set it as well for its next generation network. They have allotted $600 million and $950 million respectively for the task. South Korea obviously is spending more money in what is a smaller country, thereby in my opinion, making them most probable in reaching their goal. Besides South Korea, Japan and U.S. are also dipping toes in 5G technology. With this ambitious project, South Korea plans to strengthen their presence in the world for telecom infrastructure equipment industry with intentions to capture 20% market share by end of this decade. While India is not even in the race for 5G technology, if the technology is developed by 2020, we can hope that by 2025-2030 it will reach India as well.